So I was going to spend a little of my tax return on a charter on the Ohio River to go striper fishing. I'd like to learn how to catch the big river ones so I could go out on my own boat and do it. I was going to take my dad, and I asked a friend if he'd like to come along too, as long as he paid the difference on adding a 3rd person. He said "Why do you want to pay for a charter when we can just go to my grandpa's bait shop and striper fish at Kentucky Lake"
I booked a cabin for 2 nights next month and I'm taking my dad with me. 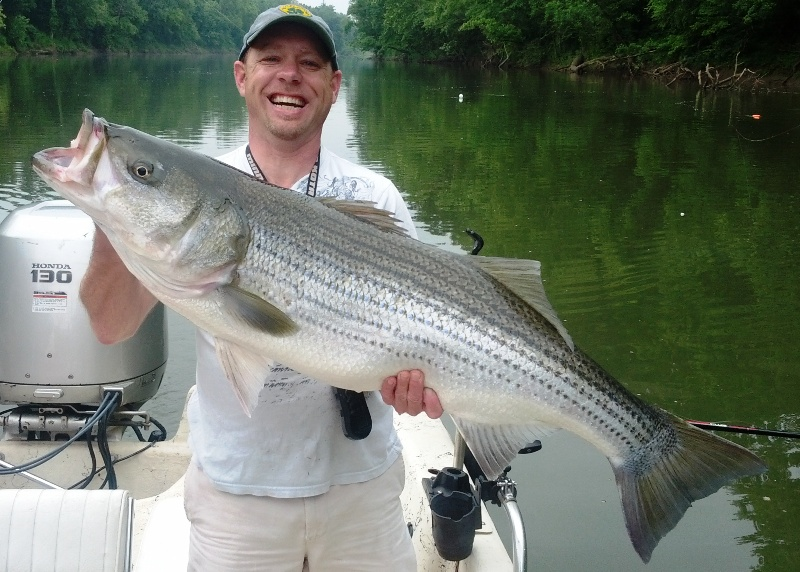 We'll be fishing the Cumberland and Tennessee rivers below the dams for Barkley and Kentucky Lake. I offered to book a bigger cabin and bring my wife and kids, but my wife was like "eh, I don't want to chase the kids around a rental place for 2 days making sure they don't break anything. Have fun." So I just got a 2 bedroom place for me and dad. This is my first "fishing trip" since I was a kid. We went to Dale Hollow last summer, but it was more of a camping trip where I fished after the kids were in bed. 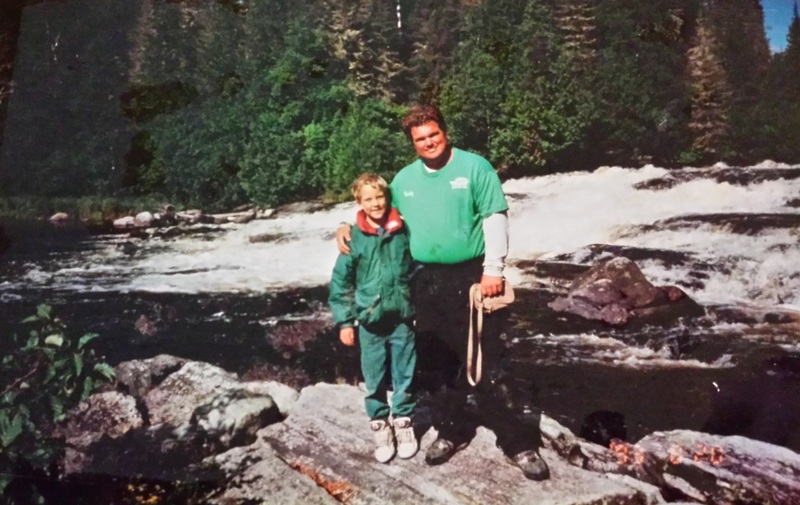 When I was 7, my dad took me to Sioux Lookout, Ontario to go pike fishing. 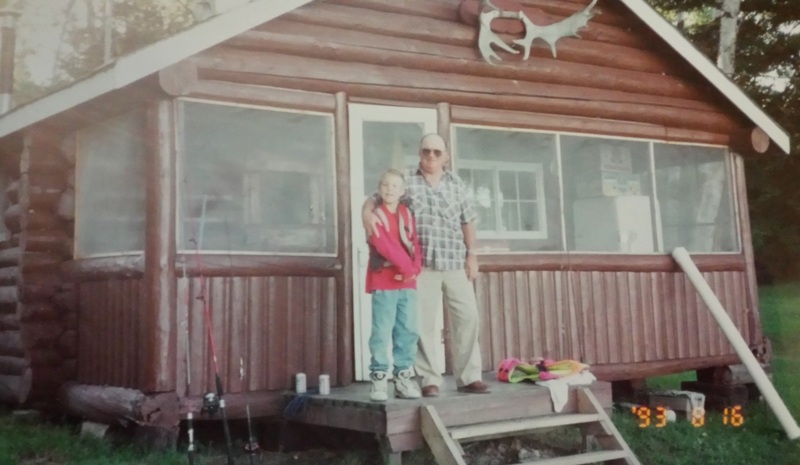 This is my grandfather, we're in front of the cabin we stayed in. He's all worked up that I'm paying for everything. But he took me on that trip, and this really isn't that expensive. The cabin I got is only $89 a night, and it has a full kitchen. I'm probably just going to bring a couple frozen lasagnas with us for dinners because we'll be worn out from fishing all day. Eggs and bacon for breakfast, and lunch meat for lunch. The great thing about Kentucky is there is no fishing pole limit. 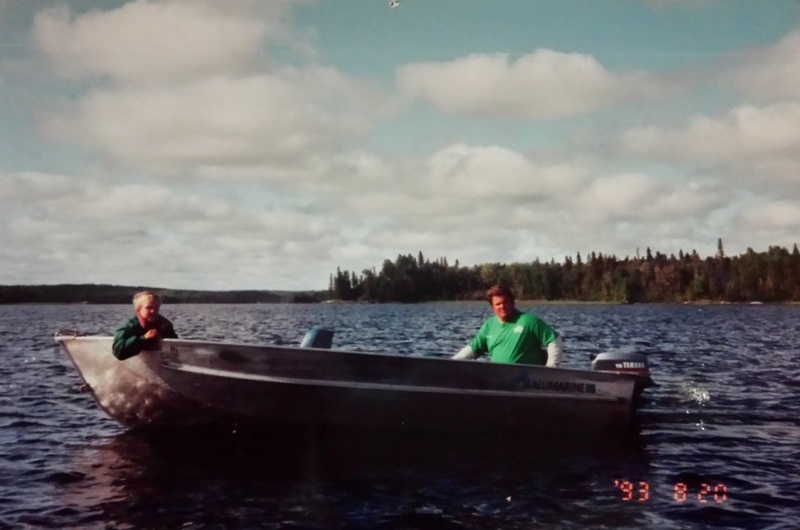 So we're both scrambling to scrape together every rod and reel we can find, so we can get as much bait out there as possible. 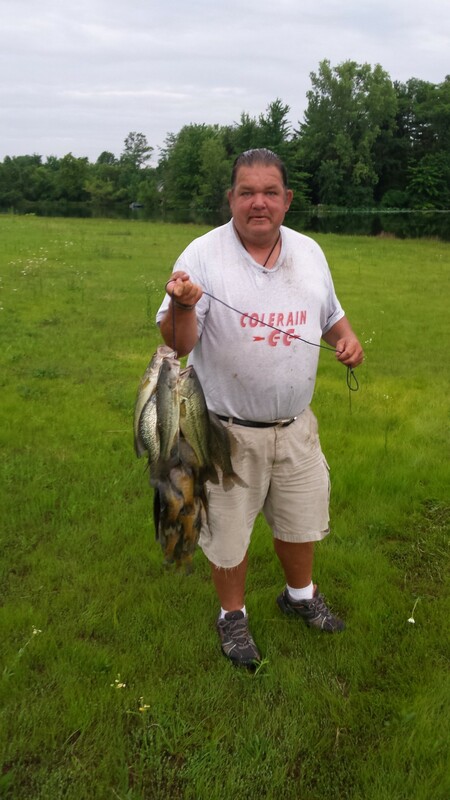 Here he is with a big clutch of Bass, bluegill and crappie. Wow....sounds like an excellent time, enjoy! Hope you have a great time! I lived in SC. for a while and fished for big stripers then. Awesome fish! The locals called them "wipers"! because they wiped out your tackle! Never did any striper fishing up there, though. Awaiting your report. 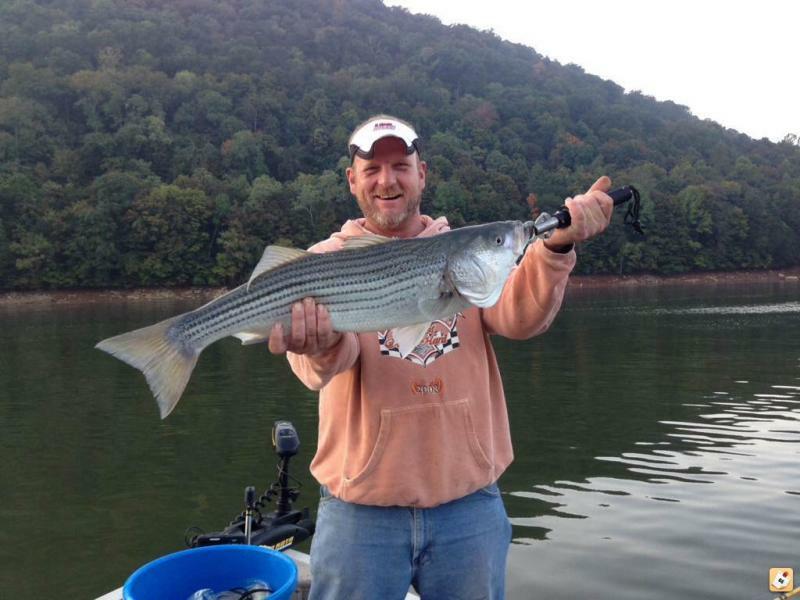 I hope to catch some stripers this summer in East TN. Awesome! Looking forward to a great report! 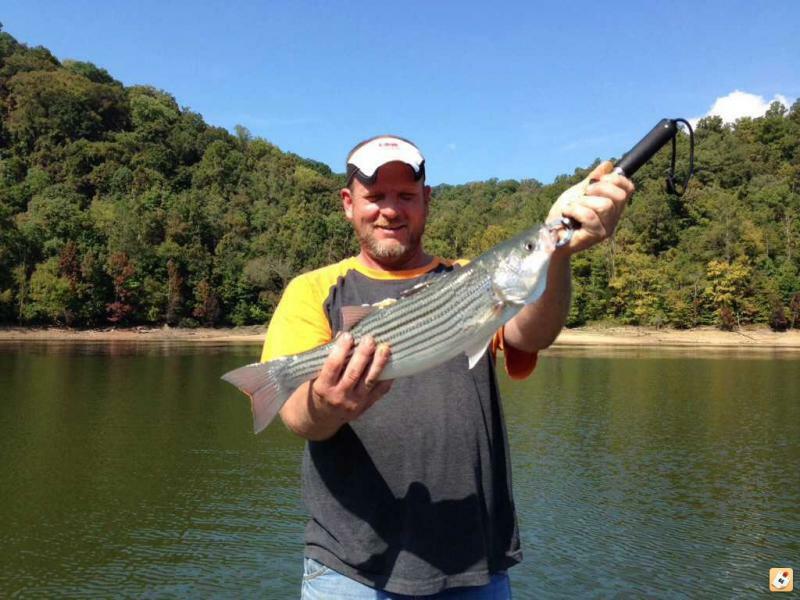 I fish for stripes with my Dad on the TN river at Savanah. They are great fighters, even the smaller ones feel like a ton of fish. Have fun! 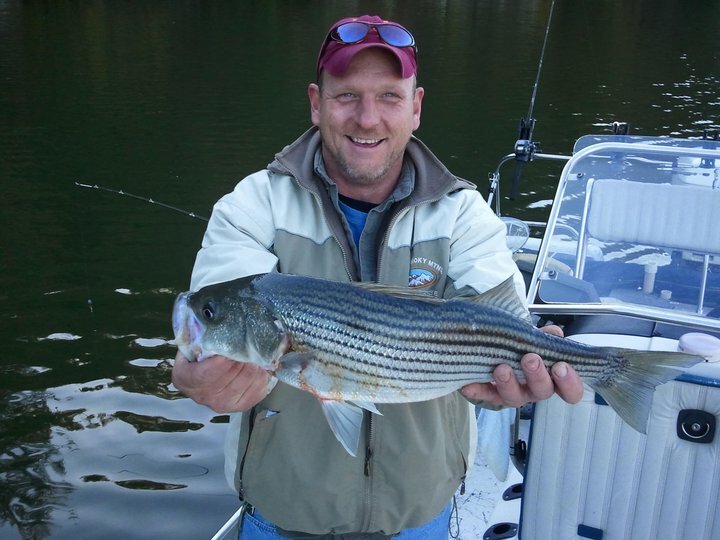 What is the best striper lure? Haha, yeah, we live in the east side. Someone gave him a big box of colerain t-shirts. 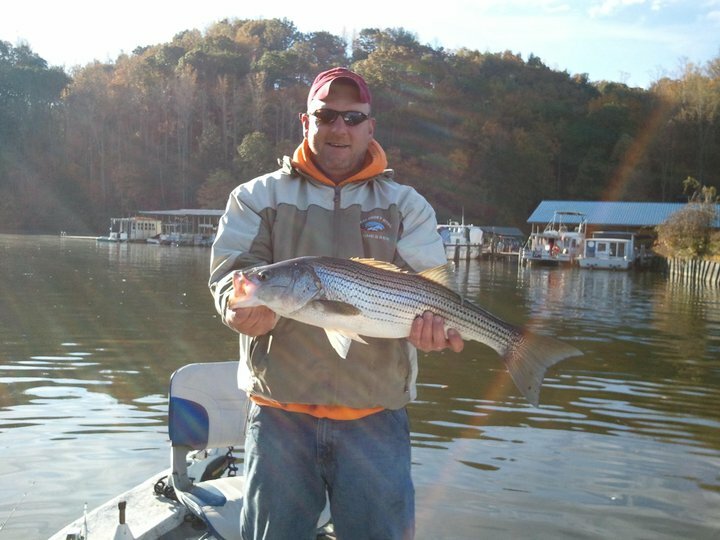 East Fork lake is full of stripers. I've caught a bunch of nice ones there. Big plastic shad, or live shad. awesome! we used to use giant rat'l traps and white buck tails on the james river and in the bay we would throw buck tails around the bay bridge tunnel pilings. Not sure where you are staying, you mentioned the northern end. If you have a chance and want something instead of frozen lasagna, check out Patty's Settlement in Grand Rivers and order the pork chop. Edited to state correct town name, Grand Rivers. Bigguns..... Love it! Can't wait. You guys are pushing me to try for some while I am here in TX.